Cullari Vineyards and Winery is in Hershey, Pennsylvania, and is owned by Kathi and Salvatore Cullari. Salvatore was born in Italy and comes from a long line of winemakers. He respects the old traditional wine making techniques and looks to keep those practices alive, making this a memorable experience for those getting to taste the pink, red, and white wines that are both sweet and dry. What Makes the Cullari Wine Special? These wines offer a unique and fruity taste and are produced in small quantities, meaning that their stock is replenished at a faster rate. The vineyard has seen nearly 25,000 bottles sell each year and their reasonable prices, some of the cheapest in Pennsylvania, make them much sought after. Cullari’s varieties of viniferous grapes include hybrid varieties like Vidal blanc, Chambourcin, and Chancellor, as well as varieties like Chardonnay, Merlot, Cabernet Sauvignon and Cabernet Franc. The Cullari winery also grows the savory and rare Sangiovese, the deep colored Barbera, and the black-skinned grape Zinfandel. The Cullari wines sport affordable prices ranging from $8.99 to $22.99. They have some award-winning wines in their stock, like the Tutti Frutti, which won a gold medal for its delicate taste that is reminiscent of cherry pie. The Pennsylvania Wine Association awarded Cullari in 2012. The Blue on Blue won a gold medal in 2013, while the Coco Nostra won the gold back in 2011; leaving the winery with 3 gold awards under its belt. Silver medals have also been won by the Raspberry Delight, and the consumer choice award was given to Black on Black. The bronze contenders have been White on White and Pomegranate Splash. The Cullari Winery also introduced a new addition back in 2015 called the Flaming Red, which is a sweet wine. There are shipping rules to be followed before purchasing, and each purchase usually comes in bulk order of 12, 24 or 36 bottles. Pennsylvania shipping fees are quite high and can run up to $16 per case. 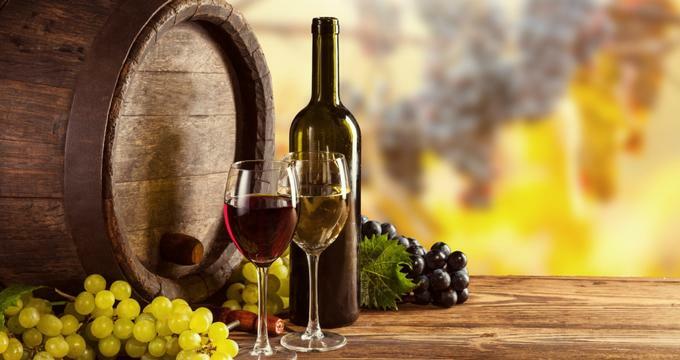 There are several states that cannot be shipped to, such as Hawaii, Alabama, Kentucky, and Alaska, so the winery suggests that all who are thinking of deliveries should consider the shipping rules first. The wine tasting rooms offer a mixture of setups, like an outdoor patio with an umbrella or conference-type rooms that seat multiple people. The rooms are elegant and the service is efficient and friendly. Wine tasting sessions start from $5 and come with complimentary cheese and crackers. The Cullari Vineyard and Winery appeared on WMPT FOX43 for a quick chat about some of their wines as well as a pumpkin wine story and instructions on how to fully enjoy wine.